Y’all–Cricut did an update to Design Space. They added in the ability curve text so you can wrap it around circles and stuff. They really did it brilliantly; as someone who works in heavy duty Adobe design programs all day, their set up is so much easier. You can curve text in Cricut with an uncomplicated click and about 3 seconds. I used it to make this beautiful monogram that I made into a stencil to paint onto a wood tray. The stencil could just as easily be used to make a wood monogram sign! At this point in time, I kinda wonder what I did without my Cricut (kinda like I wonder what I did without the internet). Throwing this Cricut monogram project is so fast–it’ll take you about 15 minutes, making it a CRAFT LIGHTNING project. Cricut has made this pretty intuitive, but I know sometimes it’s good to see someone else do something to give you your ah-ha! moment. Open up design space. I clicked text, then put a single big letter on the canvas to work around. Now we’re going to get curving. Click the text button on the left to open up another new text line. I wrote “Biggs Family” for our last name. With the “Biggs Family” text selected on the canvas (or whatever text you want to curve) I went up to the top bar and clicked “Curve.” There is a slider there that will make the link of text wrap in whatever circular way you want. Drag it around to the left and right to see how it looks. After I had the text in a shape that i wanted, I moved it over the B to start the rest of my monogram design. Now, as much as I love Cricut, there was one little drawback to their curve text function. You can’t make the type any smaller without making the whole circle of text smaller, too. So if I wanted it to say “Super Awesome Biggs Family,” I’d have to start a new text box with smaller font size before I curved the text to get it to work. But no biggie. I love that there is the option to do curved text at all! I did set up a couple files in Design Space so you can have the fonts I used and the placements, etc. so you can do this project yourself quickly. There are two to choose from, just in case your last name is a little longer than a few letters. You will have to make adjustments to make your name fit. Make the space between the letters smaller by lowering the “Letter Space” number in the header bar, or add space if your name is too short to make a nice curve. Once you have your type, etc. how you want it, select everything on the canvas and click “Attach” on the bottom right to get everything to cut on the same page like this! When you’re finished putting the finishing touches on your monogram graphic, you will use it to make a stencil to paint onto your destined wood project. The beauty of the design is that you can make it as big or small as you need. Just measure the surface it’s going to go on, and resize the graphic accordingly. I like to leave at least an inch or two on all sides of my graphics. Cricut makes a really great stencil vinyl, but I was out so I used some black vinyl I had sitting around. Since we’re making a stencil, you need to weed out the areas you want painted–so the lettering this time. It’s going to feel totally weird to do, but it won’t work otherwise! Of course, you can do a reverse if you want to, you creative thing you. To get the vinyl off the sheet and where you want it to go, you’ll need to put some transfer vinyl on it. Just cover the whole graphic, and you’re good. Put the stencil where you want it to go, making sure to rub it into the surface really really well. Peel up the transfer sheet. Go back after you do this and press in around the lettering to make sure it’s really well stuck to the wood so you don’t get any terrible looking bleeds. I like some bleeding in this project, as I think it looks like someone took a giant stamp to the wood, but you don’t want there to be too much from poorly stuck vinyl. Dab on paint. Not in back and forth paint strokes…you need quick little up and down motions. Keep dabbing until your stencil is covered! Peel up the template–you might need to get out a weeding tool to get the small spaces within the letters. From there, it’s just letting the paint dry! Hope you enjoyed this tutorial. 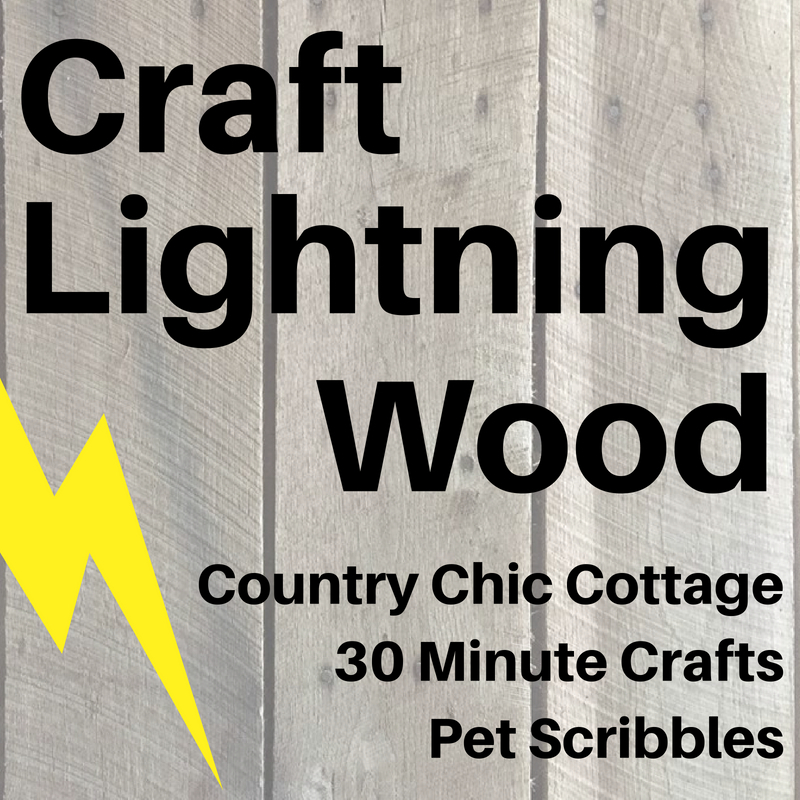 Be sure to check out more Craft Lightning projects for this month by clicking below!! Fantastic instructions, Paula! Love the tray! I love that technique and the tray is so pretty! If you are looking for one of the best place to play papas game free online so here you can have one of the best portal which will directly take you to these games online and these games will let you play cooking games which will help you to be a good chef.